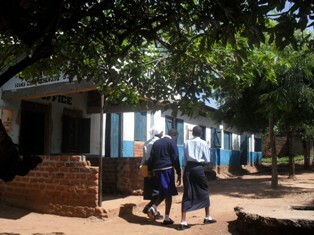 ﻿In 2008, FABIO successfully implemented a project in Katakwi District, North Eastern Uganda called Cycle to School. The second phase of the cycle to school initiative is being implemented in Iganga District, Eastern Uganda. The main objective of this project is to bridge the distance gaps for needy secondary school students and teachers in selected schools in Iganga District, for social transformation and development. The project started in February 2010 in the two selected schools which include Iganga Comprehensive S.S.S. – Busei and Country Side S.S.S- Namungalwe, for a total of 33 students. They pay off the bicycle in instalments and use the bicycle to cycle to go to school. The students have now received the bicycle. No Comments to "Cycle to school project Iganga, Uganda"